Can poor posture cause shoulder impingement syndrome, a recent paper found out the answer is yes. Shoulder impingement syndrome occurs when the tendons of the rotator cuff muscles become irritated and inflamed as they pass through the subacromial space, the passage beneath the acromian process of the scapula. This can result in pain, weakness and loss of movement at the shoulder. Pain is often worsened with overhead movement of the arm and range of motion in the forward elevation is usually limited by pain between the 60 and 120 degree range. This conditions is usually treated by conservative methods of physical therapy and sometimes steroid injections. Surgical interventions are possible but usually reserved to the most complex of cases. This study published in 2014 in the Journal of Shoulder and Elbow Surgery investigated if the presence of an increase in the thoracic kyphosis was associated with shoulder impingement syndrome. The authors had 2144 participants who were aged 40 or older. They did not measure the thoracic spine by radiographs but instead used several external measurements. The authors found that an increased thoracic kyphosis might influence the development of shoulder impingement syndrome indirectly by reducing shoulder elevation induced by the restriction of the thoracic spine extension and abnormal movement of the shoulder blade. Additionally, the authors note that assessment of the thoracic kyphosis and rehabilitation to reduce excessive kyphosis to correct abnormal shoulder movement might be important in the management of shoulder impingement syndrome, especially in older patients. We can understand this paper as one of many that indicates that posture is important for our ability to function. If you look back a bit at our posts you will find similar articles that highlight research that reaches similar conclusions to this one. 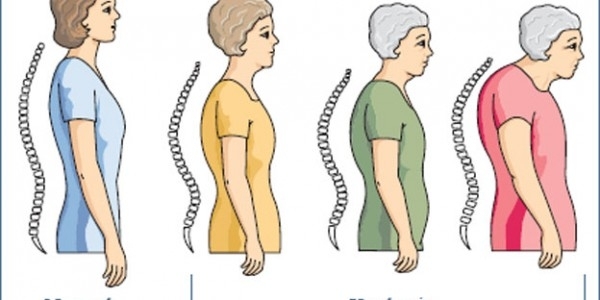 That conclusions is that in order for people to realize the best benefit from spine care their posture needs to be examined and corrected, if not the likelihood of continuing symptoms or a worsening condition is high. Working to correct posture has been a key part of our care for close to 10 years now. If you are looking for answers to your spine and joint problems, our approach might be what you need.